This Spotlight is sponsored by McDonald's. 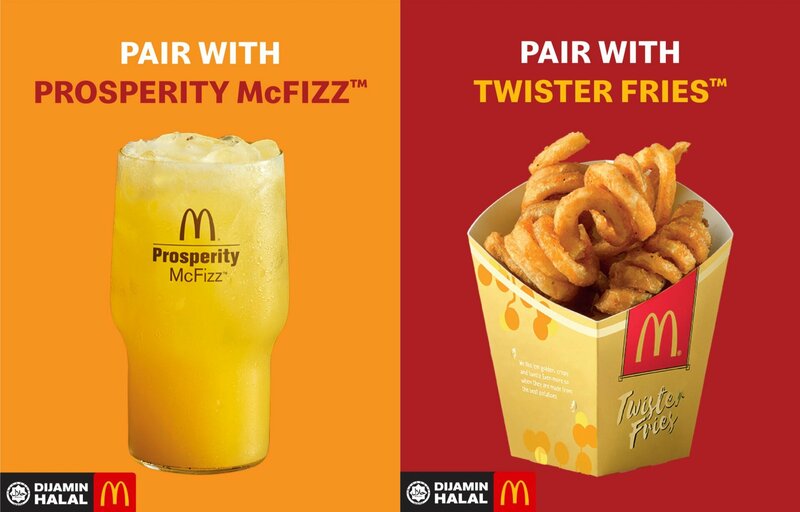 Born in Malaysia, you could say that the Prosperity Burger is one of our national treasures. Sorry if this shot made you drool... It's just AS GOOD as it looks. 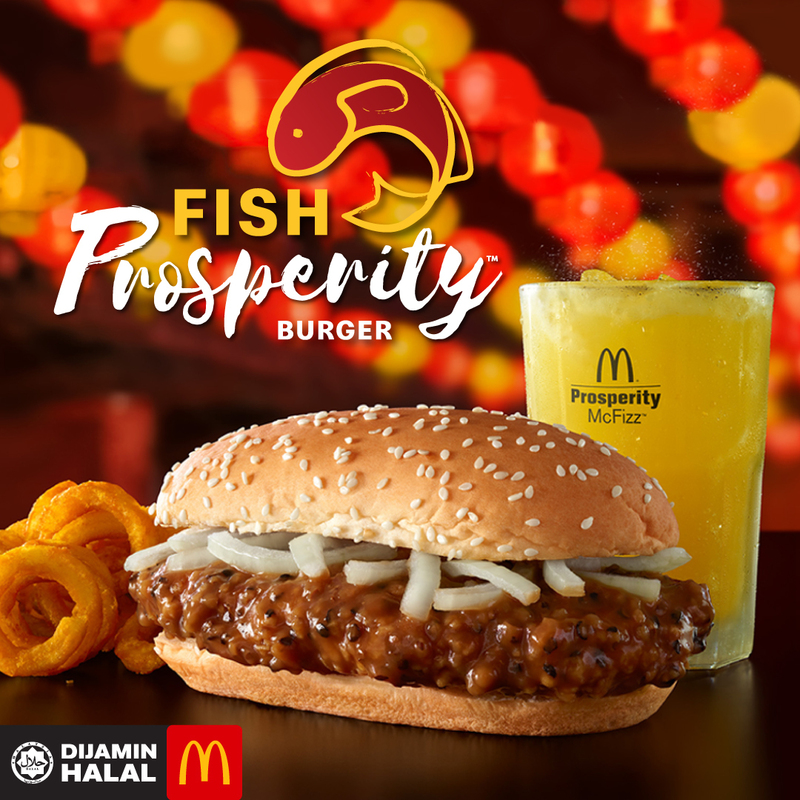 And just when you thought the Prosperity Burger couldn't get any better, McDonald's is upping their game with the addition of the brand new FISH Prosperity Burger! A golden and crispy whole fish fillet dipped in the signature black pepper sauce, topped with fresh onions, all tucked in a warm sesame seed bun. 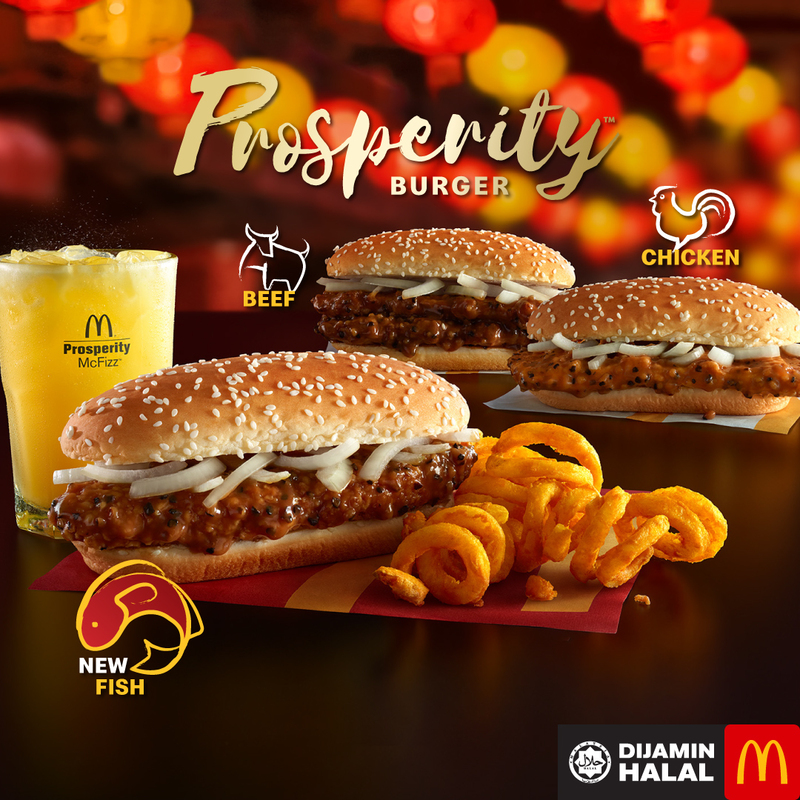 Fire up your taste-buds and spice up your Chinese New Year with a whole new Prosperity Burger experience unlike ever before! Besides the savoury meals, have you tried these sweet treats? Satisfy your sweet tooth with the Lychee McFlurry or Lychee Sundae, a classic vanilla ice cream with a fruity touch that will leave your taste buds tingling. If you feel like indulging in a warm dessert, switch from the classic Apple Pie and try this instead. Sink your teeth into the warm taro filling and relish the crispy crust with the Taro Pie! Curious to know what other prosperous meal awaits you? You have to try out the new quiz "What is Your Prosperous McDonald’s Burger in 2019?" 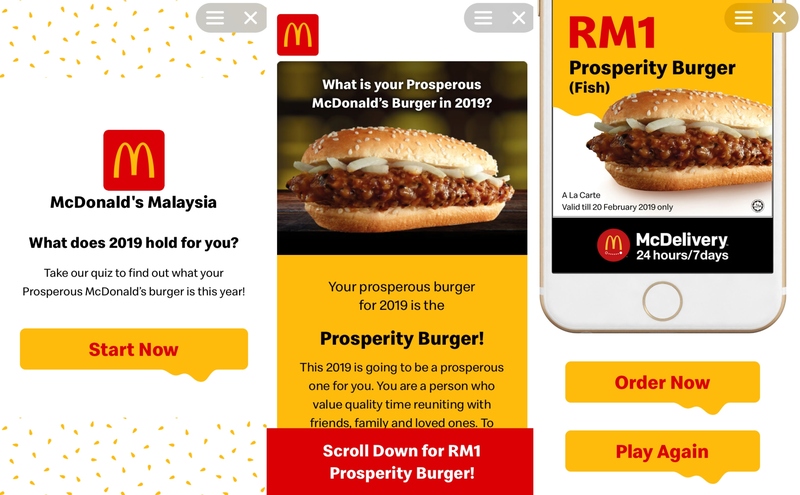 With the new McDonald's Facebook App, you can find out what your Prosperous McDonald's Burger is for 2019 by doing a quiz! Will it be the Big Mac, Spicy Chicken McDeluxe, or the Filet-O-Fish? We tried it out ourselves and it's super cute! The coupons are redeemable through all McDelivery platforms, so don't forget to screenshot and get yours! Want to start winning those coupons? Then don't wait any longer, click here to play the quiz now! 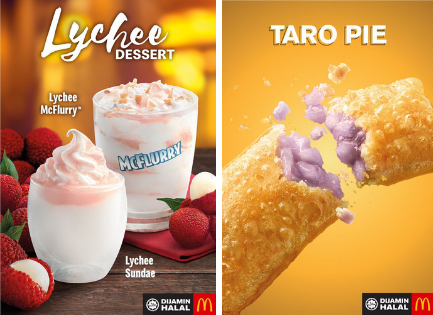 OMG, You Can Now Dip Your McDonald's Sundae Cone In New Flavours Like Matcha And Caramel! We want it all, and we want it NOW. They surpassed the initial goal of collecting one million plastic toys. Got some cool brand news to share? Check out all our Spotlight stories to date here. Travel the world and stay at amazing resorts for free with a 15-year vacation club membership! Featuring artists like Dayang Nurfaizah, Faizal Tahir, Paperplane Pursuit, and more!